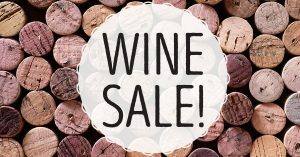 1st Annual Fall Wine Sale! Dozens of wines from all over the world at 20-50% off retail. First Come, first serve! Stock your wine racks with some uniquely delicious wines at a fabulous price!